W&C hosts an open house fly-in one Saturday every June focused on builders and owners of Van's Aircraft. 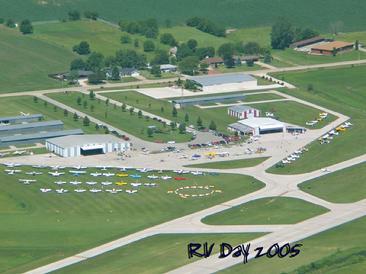 This event offers a unique opportunity in central Iowa to see a large group of flying RVs and visit with the pilots/owners. In addition to RVs, the event draws other experimentals as well as a contingent of Cubs and Super Cubs.